Our writer let his new bride take the 710-hp open-top Macca for a spin, she left with one question: Is it too late to ask for this as a wedding present? To launch the 720S Spider and the 600LT Spider, McLaren had invited me on a “partner wave”—one allowing spouses to join in the merriment. Rashna had sampled the sharp-edged 600LT on serene, inky Arizona backroads, twisty highways, and on a closed track, and thoroughly enjoyed the experience, but my wife’s penchant for comfort has always overshadowed her love of speed. 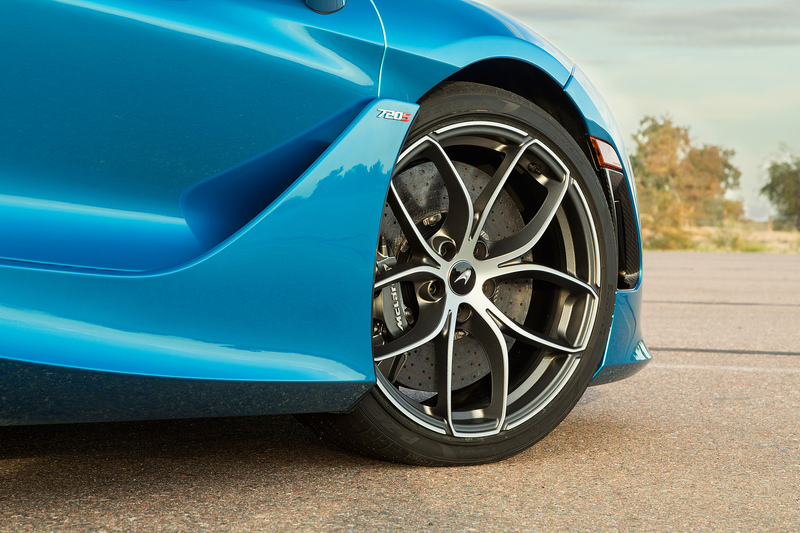 McLaren has slotted the 720S smack in the middle of its Super Series classification, however, as its wide versatility of applications on road or track are all underscored by a focus on daily, easy usability. While circuit work wasn’t on our drive day's agenda, five-plus hours of road driving was—and Rashna was eager to stretch the 720S Spider’s legs. 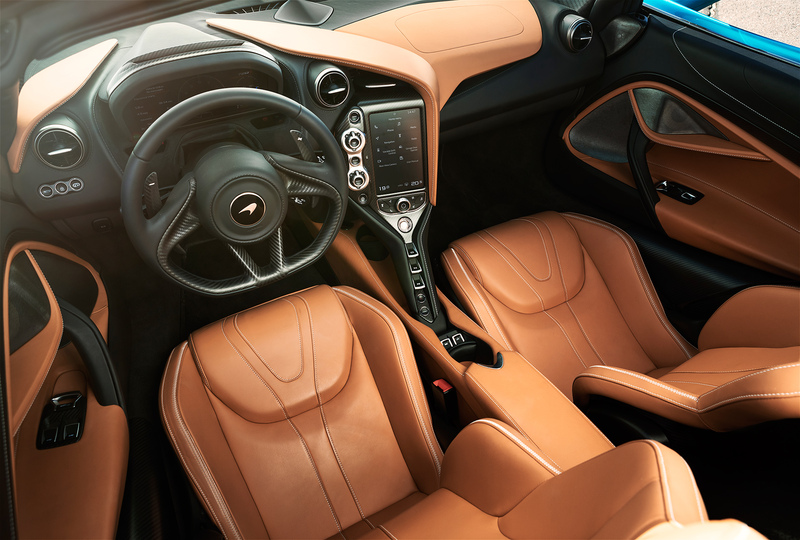 The 720S Spider started off with strong marks right out of the gate; the multi-adjustable seats allowed her a better setup than in the fixed 600LT Spider’s sport seats. “How much more power does this have?” she inquired, inching the shark nose into traffic. 710 ponies, my dear. “If I said ‘Why does it have that much power,’ you’d probably say ‘Why shouldn’t it?’” she (correctly) mused, settling into her seat. As the road opened up, I invited her to uncork the 4.0-liter twin-turbo V-8 behind our heads. Rashna cautiously put her foot down, the car hesitating for just a breath before delivering a whoosh of acceleration due to “Normal” mode being engaged on the powertrain. I switched it to “Sport,” and told her to mat it. The further her foot sank, the wider her grin grew. “Never mind what I said about the engine. When you hear something has 710 horsepower, you assume that if you floor it, you’re instantly going to lose control, but this is really manageable,” she shouted as the speedo skipped past well the speed limit on the county road. 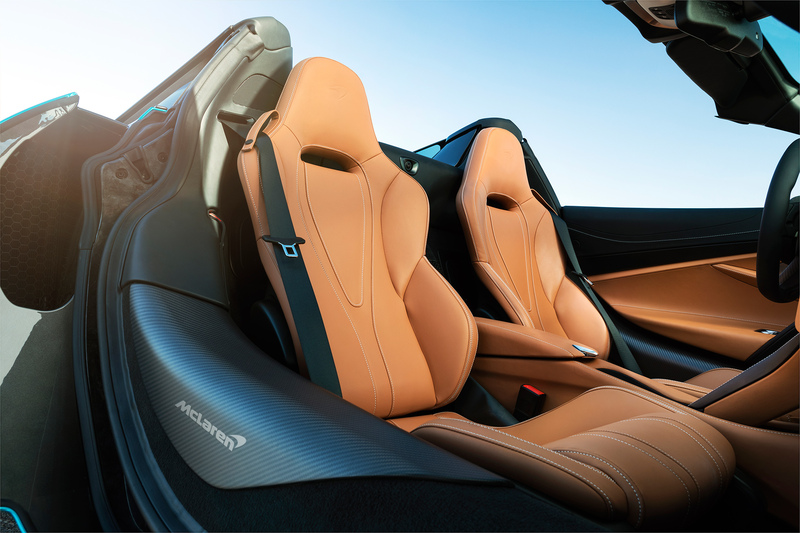 Through winding Arizona highways, Rashna tested the hydraulically-assisted steering, a beloved feature of all McLarens. “The wheel feels heavier at low speeds, but when you’re moving, it gets lighter. It’s easier to manage,” she yelled. “It’s really exhilarating to drive because it constantly keeps you engaged with the road. It makes a lot of the other loaner cars you get seem dull,” she said, naming a few specific marques and models I’ll kindly omit here. 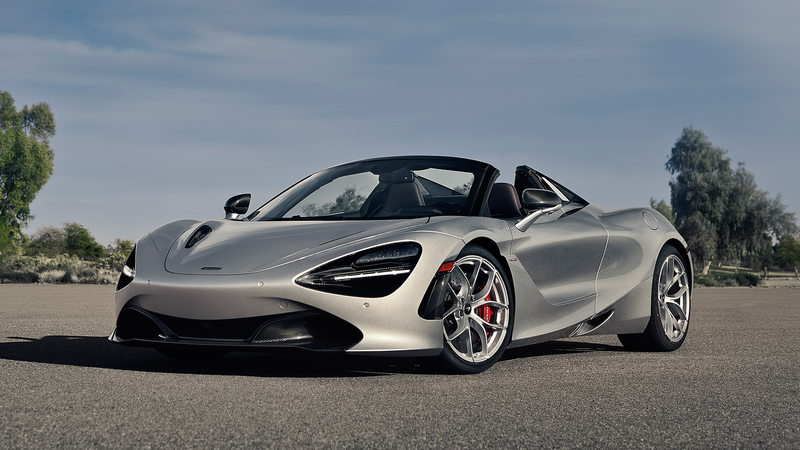 Tucking the 720S into a gentle highway curve, her right foot sank further down, and the engine barked through a downshift and yanked us forward. “It doesn’t understeer at all. It feels really planted,” she said, adding that it was confidence-inspiring. We both found the ride to be smooth—"Usually, when we’re in a low supercar, my teeth are on the verge of shattering from the stiffness,” my beloved said—and even in Track mode, it managed to sop up enough bumps on the road to leave her pearly whites intact. And we were both enamored with the engine note. “Other supercars sound like they’re on the verge of erupting, while the 720 sounds deep and healthy. I wish other cars sounded this nice,” Rashna said. 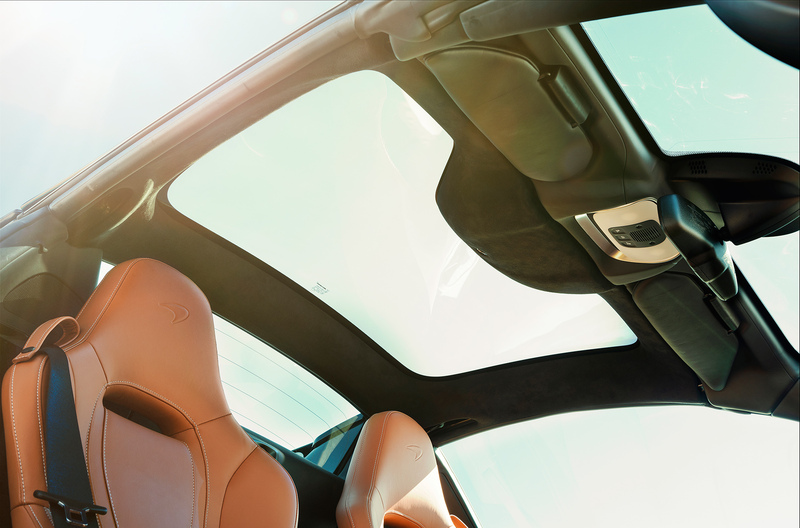 The only significant detriment to the 720S Spider: You’ll always know you’re in a convertible. There’s a heap of wind, along the accompanying noise rushing into that cabin. and all that can feel a bit overwhelming at points if you’re pushing for the edge. Raising or lowering the small back window does mitigate some of the breezy onslaught, but it’s still pronounced. What’s appreciated is the new Rollover Protection System, a modification to the carbon fiber MonoCage II-S chassis. 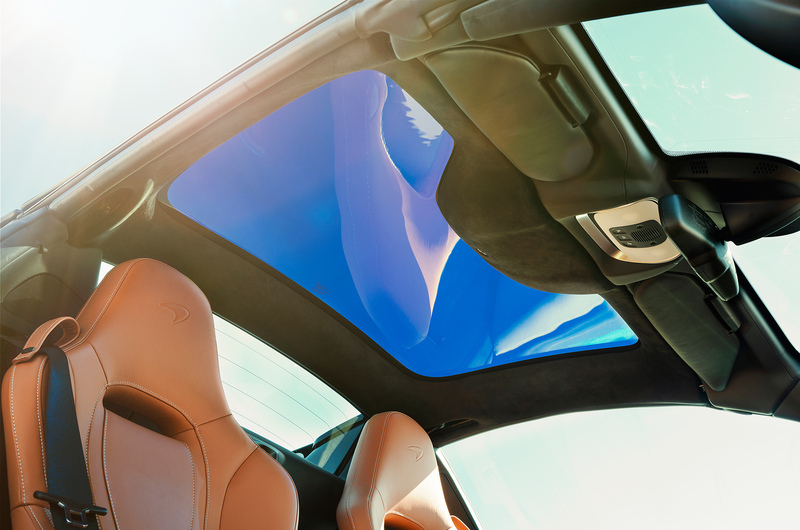 This version of the bombproof safety cell shaves a few pounds off the 650S Spider’s version, and adds strength and rigidity to the car while also increasing visibility. See-through rear buttresses are an ingenious touch, as checking your blind spots can be an impossible task without those glazed components. Pulling back into the hotel, Rashna spied a McLaren rep who’d become such a close friend, she’d attended our wedding. “Should I ask her if we can have this as a wedding present?” Rashna said. 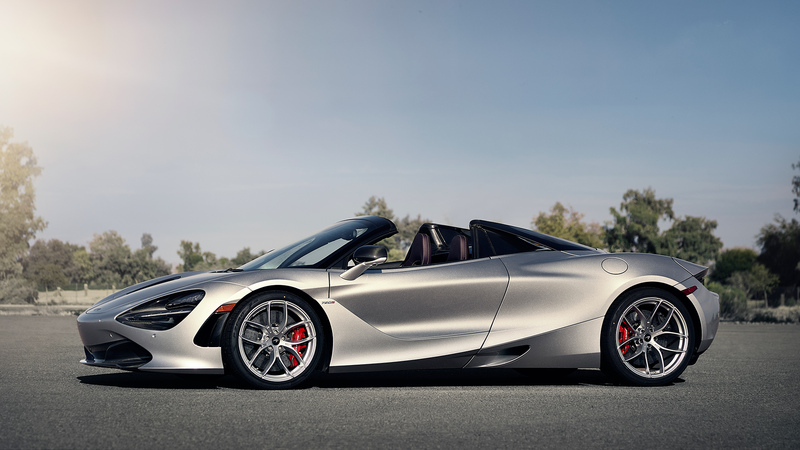 The McLaren 720S Spider, driving off into the sunset. 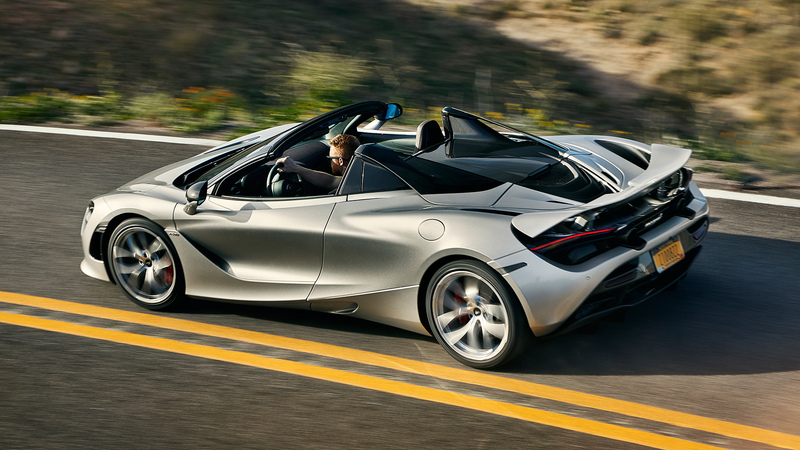 McLaren has apparently registered three worldwide patents related to the 720S Spider's newfangled retractable roof. 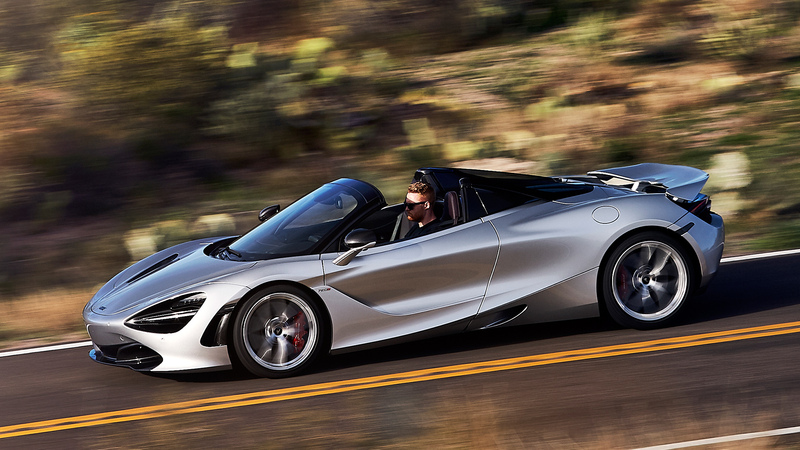 When you let your wife review a brand-new 592-horsepower supercar, everyone wins. 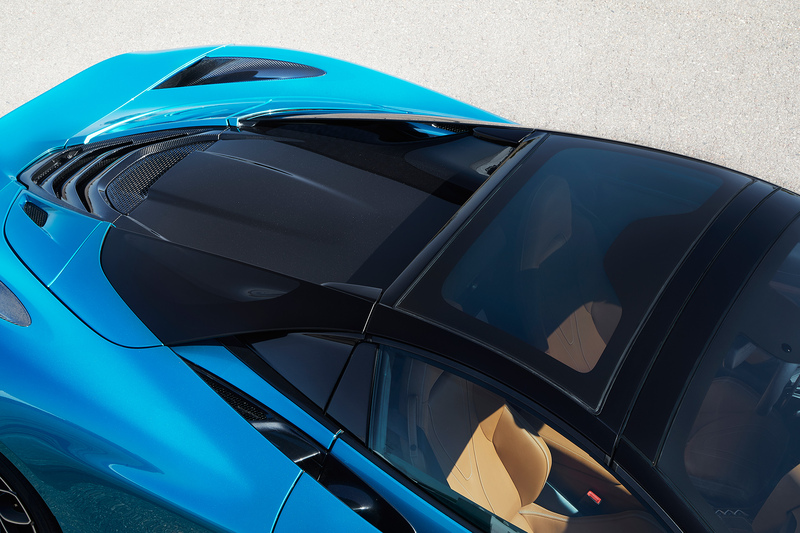 McLaren's newest supercar redefines street car performance. Good luck finding a way to enjoy it on the street, though. The only thing more ostentatious than parking a $350k supercar in your garage is commissioning poetry about it. So I did. New, street-legal tires and willpower were all it took to get this supercar to clock some seriously impressive times.